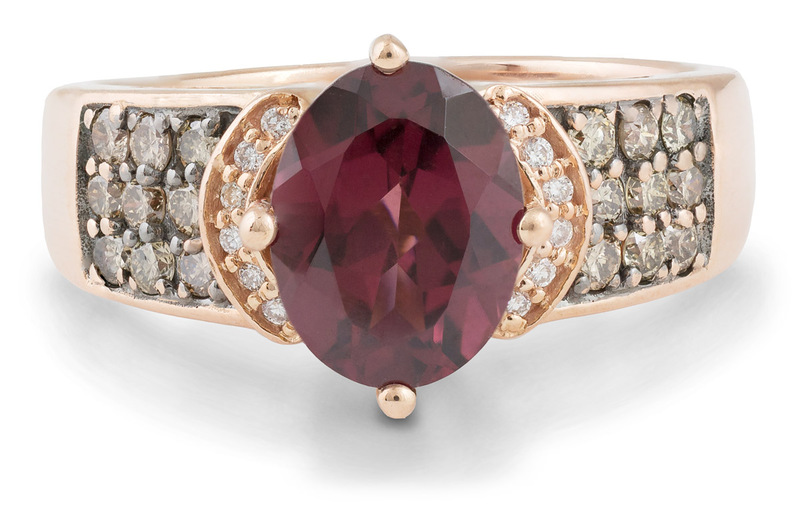 Garnet’s rich history and varieties demonstrate garnets are more than the little red gem. Garnets allow for great personal diversity and style. The wide world of garnets invites all to become a garnet fan. Garnet is January’s birth stone. January babies born in the midst of cold, white (valley fog) and at times stark surroundings are rewarded with one of the most varying birth gemstones…Garnet. Garnet’s pizzazz energizes the gloomiest day. Garnet varieties brighten the world in colors of yellow to gold, bright orange to true orange, brown to cinnamon, pinks to greens, and of course many shades of red. Garnets are given as symbols of consistency, perseverance and good health. Garnet is also regarded as the gem of faith, constancy and truth and possesses many curative powers. Garnets are given as symbols of consistency, perseverance and good health. Some of the lore surrounding garnets is that it protects the wearer from nightmares, promotes long-lasting love, and prevents hearing difficulties. It was also a charm against the effects of anger and said to be a calming influence. Some promoted it as a cure for depression and mental instability. Garnets’ other cures are red garnet to relieve fever and yellow garnet was the prescription for jaundice. Legend holds garnets guard travelers against perils during the journey. The traveler is also protected against diseases and preserves their honor and health. All these powers were said to double for people born in January. The dark red garnet has long been associated with blood. Christian tradition considered the blood-red garnet symbolic of Jesus Christ’s sacrifice. Legend tells that garnet lights up the night. Noah used a garnet lantern to navigate the Ark at night. 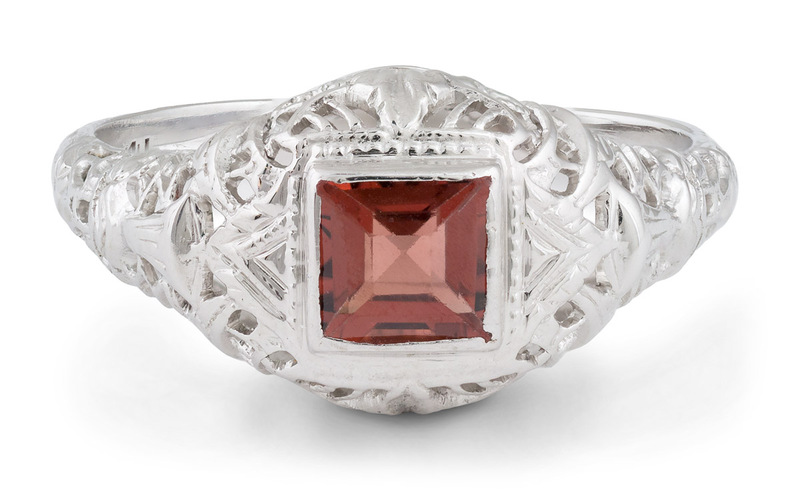 The ancient world is full of praise for the carbuncle, the glowing red gemstone we now know as garnet. Early scientists named garnet from the Latin granatus, which means ‘seedlike’ because garnet crystals in rock reminded them of the shape and color of pomegranate seeds. Garnet is really a group of gemstones. The pyrope, almandine and spessartite are the red – brown to orange sometimes with a tint of violet varieties. The grossular, demantoid and uvarovite are the Emerald green to yellow type. Garnets are beautiful and widely diverse gemstones.